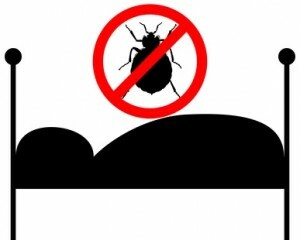 Pest control experts at Bell Environmental in New York are reporting that, while most New Yorker’s are concerned about avoiding dehydration and power failures during this month’s heat wave, there’s another growing problem: bed bugs. Bell says that its bed bug inquiries rose significantly in the last few days. While summer months tend to be the height of bed bug season, inquiries are up over 40% from last year. Bell’s canine detective, Roscoe the Bed Bug Dog, is busier than ever. Why are bed bugs so active now? Bed bugs are more troublesome on hot days. They are more active in terms of their feeding, movement, and hitchhiking to new places. Bed bugs also reproduce and mature faster in higher temperatures. Bed bugs are a problem that no one wants, but anyone can get. Unfortunately, these pests are hard to beat, and require expert treatment. Bell uses non-toxic and chemical-free InstantFreeze method to provide the thorough safe, thorough, and effective treatments necessary to eliminate bed bugs.